Apartamento completamente renovado em 2003. Harwood andares por toda parte. Bar personalizado. Este apartamento luxiourious fica à direita da rua principal e é tão centralmente localizado ... você pode estacionar o seu carro na garagem da cidade e caminhada de tudo. Ótimo lugar para entretenimento e as pessoas assistindo! 2 Quartos / 1 casa de banho com cozinha completa. Se você está na cidade para uma função Academia Naval, um casamento ou apenas a visita a esta maravilhosa cidade ... você vai se sentir em casa neste apartamento. Email mim se você tiver quaisquer perguntas. Com um bar artesanal e de jantar formal - thisis o lugar perfeito para um aluguer de curto ou longo prazo. Nice, well equipped 1 1/2 bedroom apartment in a great location just off Maine St. Second bedroom is semi private office area with very comfortable double air bed. We were down for both Boat shows and it was great having a comfortable place to come back to and nice having laundry. Owner was very accommodating with some changes to our schedule. Would definitely stay again. A wonderful house in a great location. I highly recommend a stay here. Location and comfort steps away from everything!! Loved, loved, loved the location! Steps from the door we were on Main St. or a block away was State Circle. Easy access to all of DTA, restaurants, shopping, and the Naval Academy. The apartment was immaculate and generally quiet and although close to all of the action, it was removed from the craziness as well. The property was beautifully appointed, roomy, with everything we could possibly need. The master was very comfortable, and although the second bedroom is not entirely closed off, the bed was incredibly comfortable and the room was spacious. There is a bar area, a dining area, and a full kitchen. The owner was very responsive and considerate. Although parking is not included, it was not an issue. We were able to relax and enjoyed our stay, and hope to return soon! 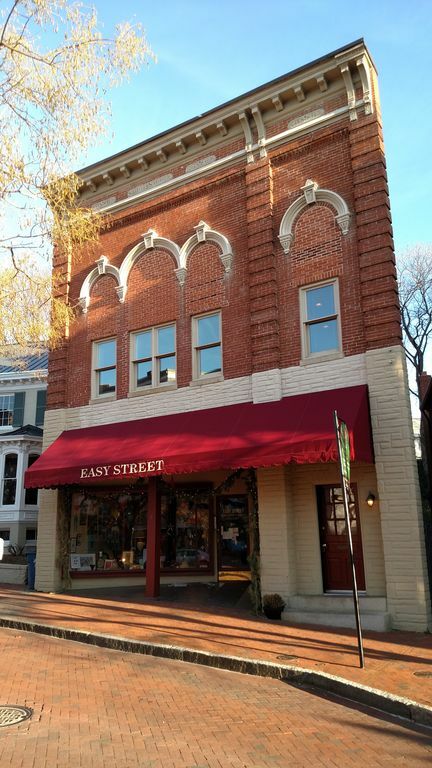 The "Easy Street" apartment was just what we were looking for. We thoroughly enjoyed the convenient location (right in the middle of everything,) without much of the noise you would expect for such a site. It had more than enough room to have friends stop by and chat, and enough privacy to make it just right. We would love to stay there again when we can get back to Annapolis! We rented this apartment for about 7 weeks for my daughter’s internship at one of the courthouses. It is centrally located just a block or two from the waterfront. Easy to walk to shops, restaurants, pier, and naval academy. Metered street parking and 2 nearby garages available. Since we were there for 7 weeks, we got a monthly lease for one of the garages. The apartment was nicely furnished and we were easily able to cook meals there or go out to many restaurants nearby. WiFi in apartment worked well. Private laundry on first floor. Any issues we had were quickly addressed and resolved within 24 hours. Owners very accommodating. Great loft/apartment with convenient location to historic Annapolis.